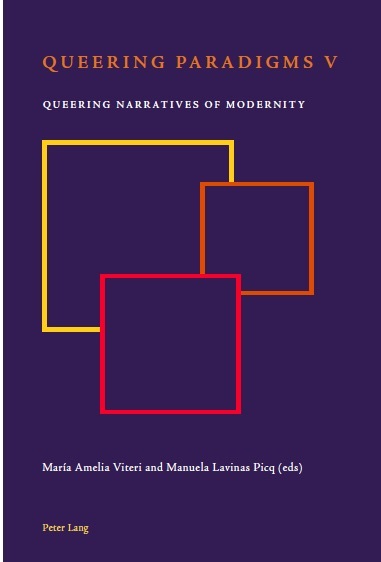 The authors of this edited volume use a queer perspective to address colonialism as localized in the Global South, to analyse how the queer can be decolonized and to map the implications of such conversations on hegemonic and alternative understandings of modernity. This book is distinct in at least four ways. First, its content is a rare blend of original scholarly pieces with internationally acclaimed art. Second, it is a volume that blends theoretical debates with policy praxis, filling a gap that often tends to undermine the reach of either side at play. Third, its topic is unique, as sexual politics are put in direct dialogue with post-colonial debates. Fourth, the book brings to the forefront voices from the Global South/non-core to redefine a field that has been largely framed and conceptualized in the Global North/core. María Amelia Viteri holds a Phd in Cultural anthropology from american university in Washington dC, with a focus on race, gender and social justice, and is currently Professor of anthropology at universidad San Francisco de Quito (uSFQ). Her research bridges citizenship, belonging and identity within a transnational and intersectional framework that highlights sexuality and gender at its core. Her work incorporates visual arts as additional tools that bring academia closer to activists’ and local communities’ concerns, and has informed both academic knowledge and public policy. moving between the geo-political spaces of the uS and ecuador through research and teaching, she speaks from the position of a transnational herself. She is the author of Desbordes: Translating Racial, Ethnic, Sexual and Gender Identities across the Americas. Manuela Lavinas Picq is Professor of international relations at Universidad San Francisco de Quito (uSFQ), ecuador. She has been member at the institute for advanced Study (2014), Lowenstein Fellow at amherst College (2011), and a fellow at the Woodrow Wilson Center (2005). She is the co-editor of Sexualities in World Politics and publishes both in scholarly journals and international media.